When sitting on a restaurant in Nepal life does not revolve around Dal bhat only. There is beer also and good ones. And GORKHA is the best i tried!. Such a curious name for a basque man like me named Gorka, right? Well, that does not end there as there is a region in Nepal named like that as well. So it was quite funny every time I had to introduce myself. It was like if someone would come to my city, Bilbao, from the other side of the world and claim is named “Bizkaia” (our region). The first reaction was confusion and disbelief, the second was thinking i was joking, and the third acceptance and a lot of curiosity. The similarity of the name even gave me the idea to write my icebreaker speech at one of the Toastmasters club that we joined. Besides, GORKHA is the region and dynasty from where the reunification of contemporary Nepal was born. I did not get to visit the region but for sure that I will in the future, there is even a castle waiting for me there! Throughout the streets of Kathmandú or Patan you could find “Gorkha” restaurants, “Gorkha” laundry shops, “Gorkha” hostels, “Gorkha” clothes shops, and the list goes on and on…. The beer, even if it was generally expensive, it was worth a drink once in a while. Specially when we passed by for lunch or dinner at Achaar Ghar. 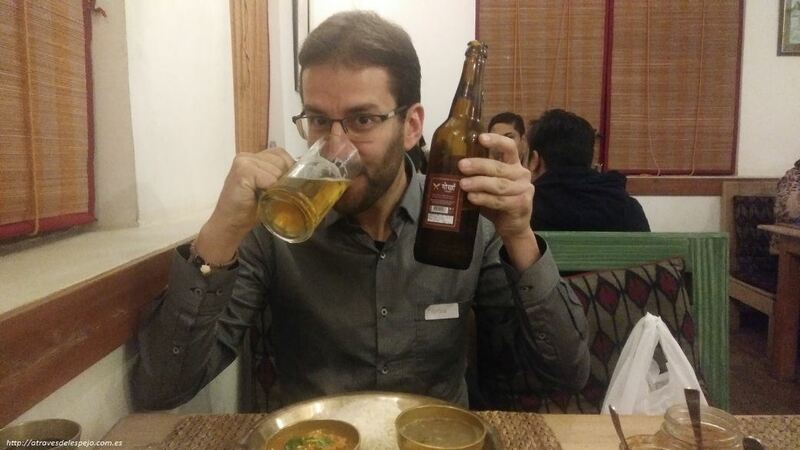 At this restaurant, very close to Ear Care Nepal office and home, they offer a so delicious Dhal bat that you can not say no, and apart from having very kind people with great service, they also grow and cook their own old-fashioned traditional pickles which is their specialty. 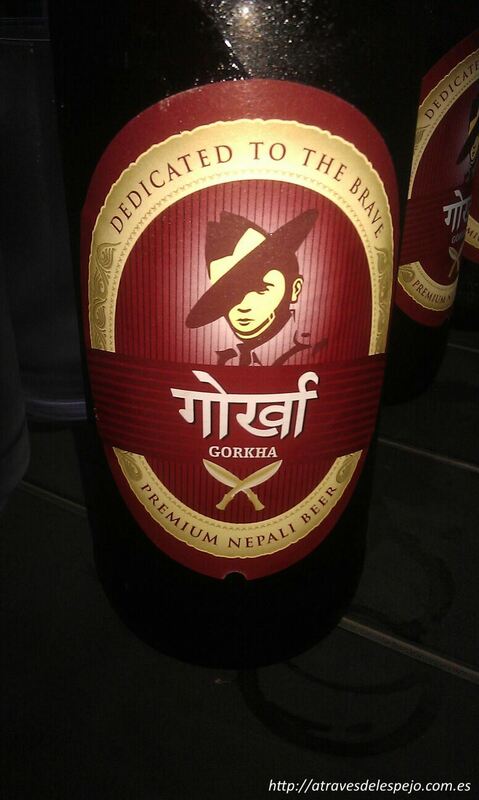 And like the slogan says, GORKHA beer is “dedicated to the brave“. And it was the perfect match when you had on your table 8 different kinds of VERY spicy “pickles” that were more dangerous than taking a bath on a jellyfish filled lake. 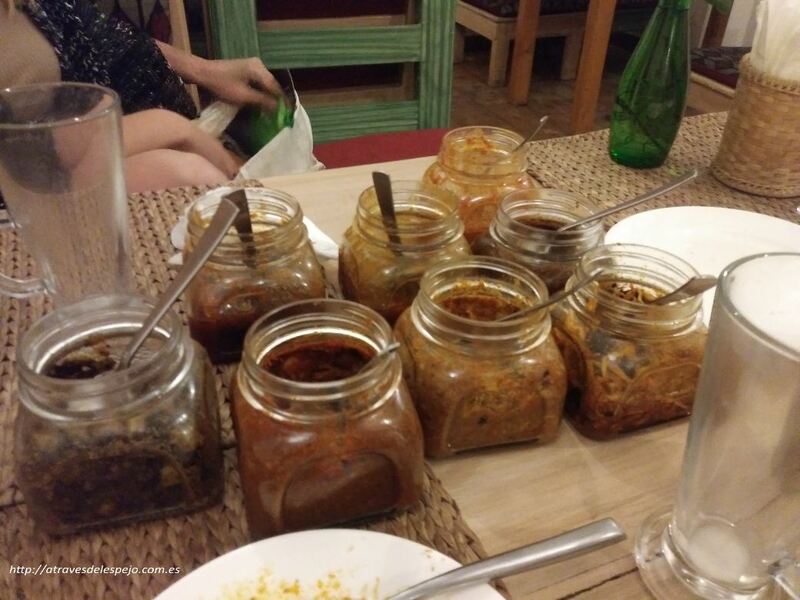 You would run out of bottles while experiencing a volcano exploding in your throat after taking a bite of each and every one of those pickles, specially one that they waiters would warn you, always with a smile that would make the Joker proud, and knowing what was awaiting you. Actually, as it can be seen in the logo, the beer is a homage to the Gurkha Nepali soldiers, renowned for their bravery and for being one of the best prepared special forces in the world. Let´s say that there lots of ways to show bravery in life without having to draw a “kukri“.